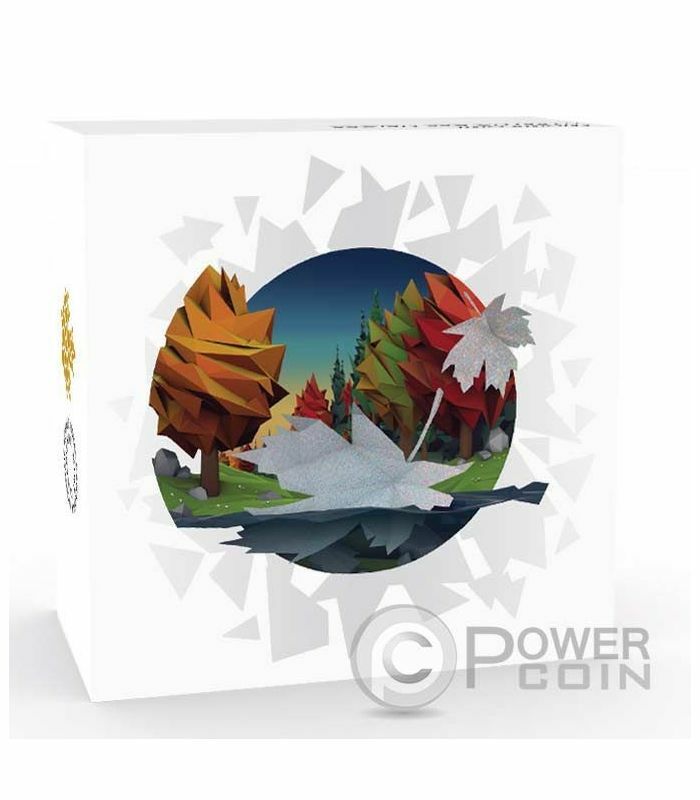 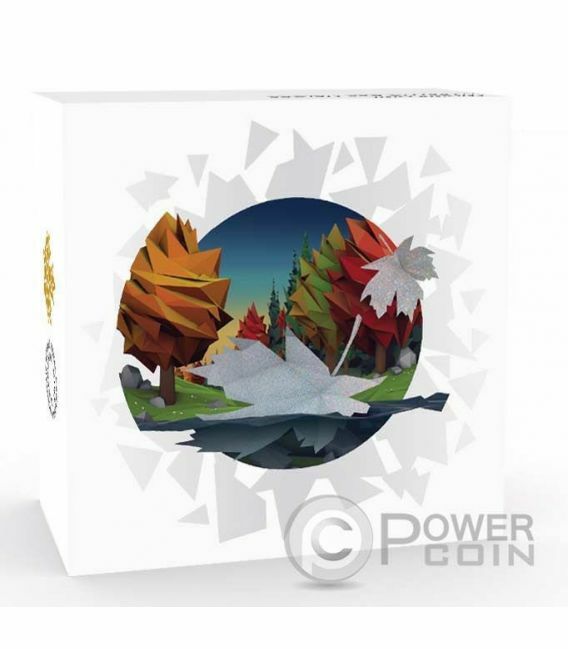 This is the fifth coin in the inventive new five coin "Geometry in Art" series, which reinterprets familiar Canadian emblems: the polar bear, the beaver, the caribou, the loon and the maple leaf, in a low poly art style. 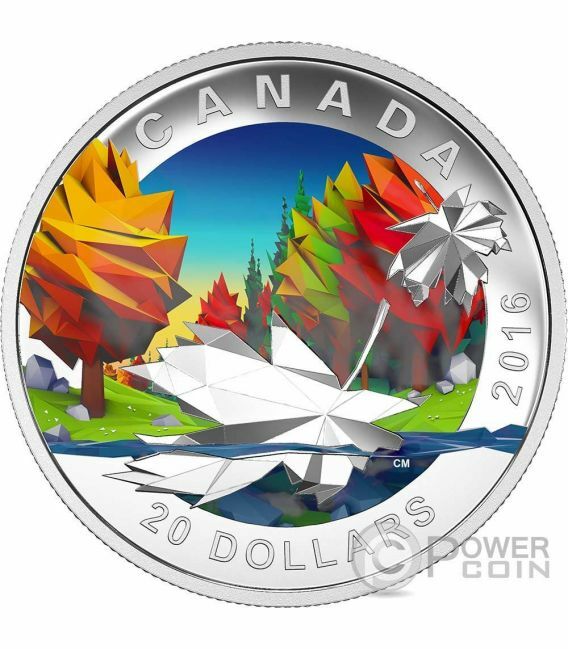 This edition the coin celebrates the Maple Leaf. The colors contribute to the perception of depth and shadows. Limited mintage to only 7.500 pieces in the world. 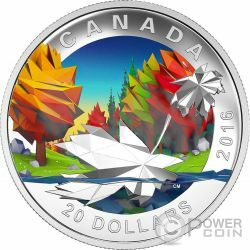 The maple leaf is the characteristic leaf of the maple tree, and is the most widely recognized national symbol of Canada. 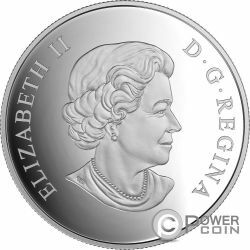 At the beginning of the eighteenth century, the settlements located in New France had attained a population of about 18,000. 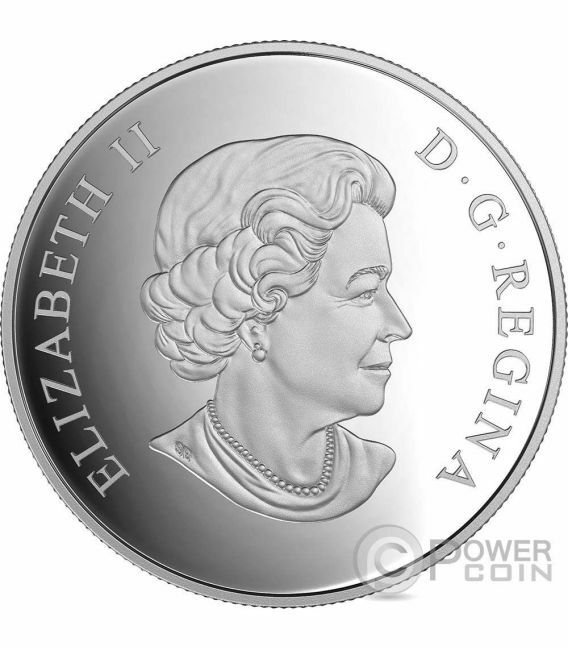 By this time, the maple leaf had been adopted as an emblem by the French Canadians along the Saint Lawrence River. 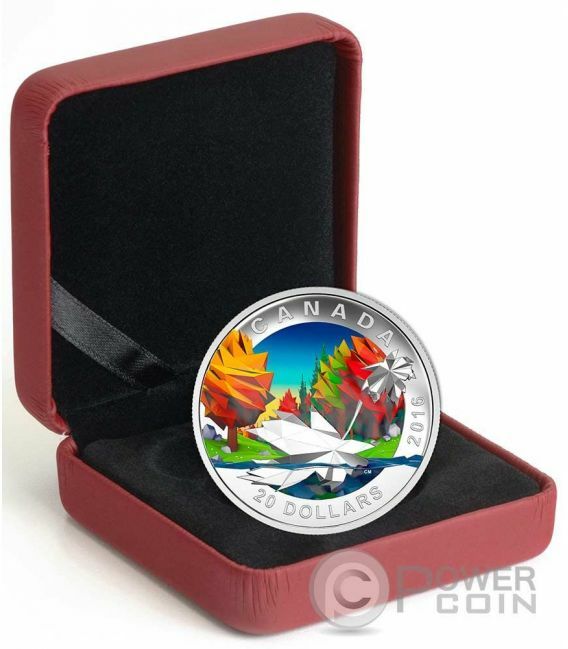 Since 1979, the Royal Canadian Mint has produced gold, silver, platinum, and palladium bullion coins, which are officially known as Maple Leafs, as geometric maple leaves are stamped on them.